This summer Velocity's Strictly Seattle returns to 10 degrees for the Professional/Advanced afternoon rehearsals. This is the fifth year that Velocity has partnered with 10 degrees. 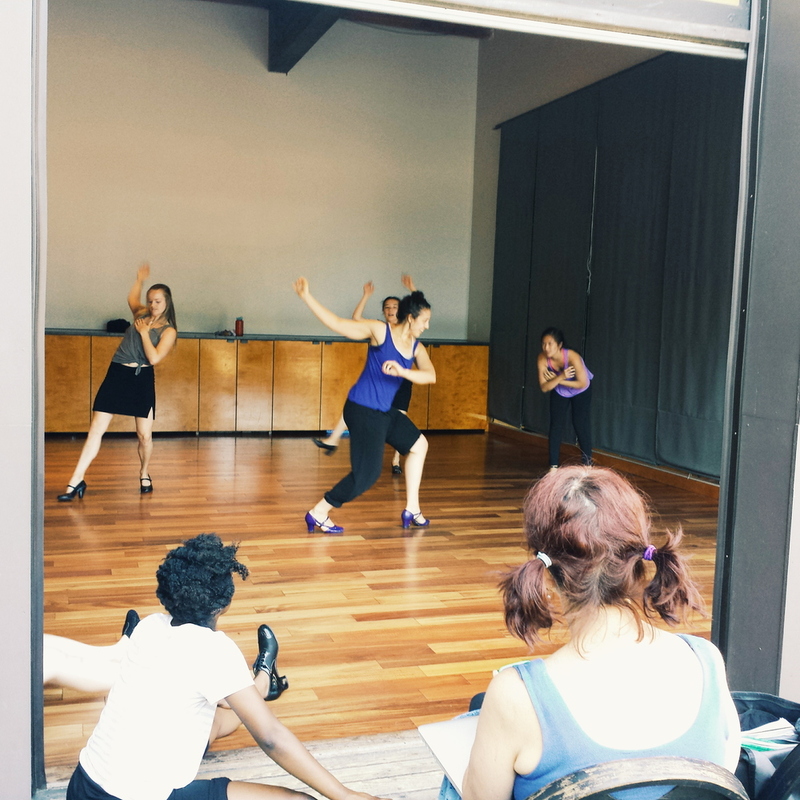 Each week a different choreographer is working in the space creating and building a new work which will premiere at the Strictly Seattle Performances July 24 + 25 at Broadway Performance Hall. Zoe Scofield studied ballet and modern at Walnut Hill School for the Performing Arts in Boston. She has danced with Prometheus Dance and Bill James among other choreographers in Toronto, Boston and Seattle. Scofield has received the Stranger Genius Award, National Dance Project Tour Support, The Mariam McGlone Emerging Choreographer Award from Wesleyan University, Artist Trust's GAP Grant and Artist Fellowship Award, City Arts Innovator Award, Seattle Magazine's Spotlight Award, Alpert Award Residency and the Princess Grace Foundation Choreography and Special Projects Award. As collaborators, Scofield and Juniper Shuey have been commissioned and shown work at galleries and art spaces nationally and internationally. zoe | juniper has been described as "a crazy dream you just can't shake" (Karen Campbell, The Boston Globe). Their newest work, BeginAgain premiered at On the Boards and was presented at The Joyce/3 Legged Dog, PS122 COIL Festival and Baryshnikov Arts Center, REDCAT, DancePlace and Fringe Arts. This work is a study for Pat Graney's evening length piece Girl Gods, which has been in process for the past two years. In the rehearsal process for Strictly Seattle, the dancers created movement taken from specific images and strung it together as one long phrase. During the process dancers learned movement, wrote about their personal experiences with rage and interviewed their mothers on the idea of rage and what place (if any) it had in their, their mother's, and grandmother's lives. These audio recordings were then mixed by composer Amy Denio for an original score. Women, family histories, lineage and rage. Founder of the Pat Graney Dance Company in 1991, choreographer Pat Graney creates work that features a diverse set of movement vocabularies that range from ballet to gymnastics to martial arts; explorations of female identity and power; and rich visuals. The Vivian Girls (2004) was based on the work of "outsider" artist Henry Darger; and House of Mind (2008), a work in multiple media ( installation, sculpture, video, and choreographed performances), transformed a 5,000 sq. foot raw space. In 1991, she began creating a body of work related to women with Faith (1991), Sleep (1995) and Tattoo (2001) - this triptych was remounted in 2010 at On the Boards. As a long-time Seattle resident, Graney and her company have undertaken community initiatives like working with incarcerated women through Keeping the Faith / The Prison Project, and more recently working with teens in the Seattle school system. Among her many honors, Graney is an Alpert Award in the Arts (2008) and USA Fellowship (2008) recipient, and in 2013 Graney was chosen as one of 20 Americans to receive the Doris Duke Performing Artist Award. Her upcoming work for 2015, girl gods, explores the sacrifice of the female in contemporary culture.